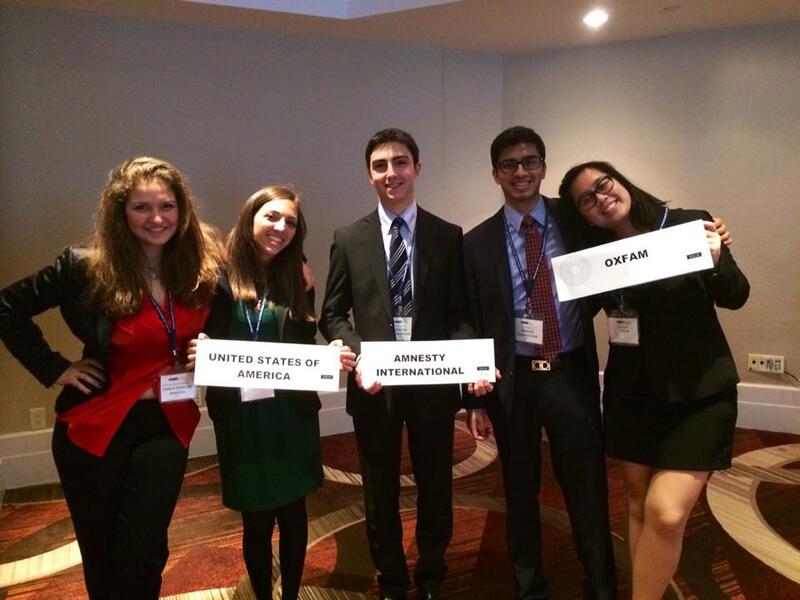 Two friends, Vato Gogsadze ’15, Harsh Mehta ’15 and Nelli Agbulos ’17 participating in a simulation of the Commission on the Status of Women at the 2014 National Model United Nations conference in New York. The 2014 National Model United Nations in New York (NMUN NY) was a unique opportunity to learn more about the United Nations and its role in resolving existing problems of the world. During the conference, I was able to experience diplomacy in a cross-cultural environment, which was exciting and challenging. By discussing, arguing, and trying to resolve extremely difficult socio-political problems of the world, students gained knowledge about numerous countries and their interests while improving their public speaking and writing skills. Overall, I am extremely happy and that I was part of a wonderful learning community and I am convinced that the experience gained from NMUN NY has improved me as a person. This entry was posted in Student Delegate Blogs and tagged diplomacy, Model UN, Model United Nations, MUN, National Model United Nations, NMUN, United Nations, Vato Gogsadze. Bookmark the permalink.